The West is one of the strongest and most enduring place images in the world and its myth is firmly rooted in popular culture – whether novels, film, television, music, clothing and even video games. The West combines myth and history, rugged natural scenery and wide open spaces, popular culture and promises of transformation. These imagined places draw in tourists, attracted by a cultural heritage that is part fictional and mediatised. In turn, tourism operators and destination marketing organisations refashion what they present to fit these imagined images. 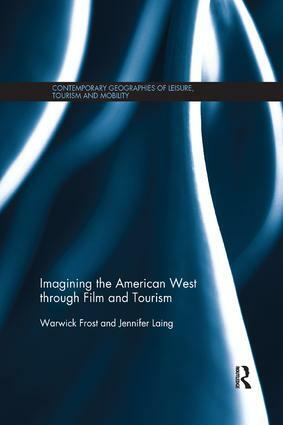 This book explores this imagining of a mythic West through three key themes, travel, film and frontiers to offer new insight into how the imagination of the West and popular culture has influenced the construction of tourism. In doing so, it examines the series of paradoxes that underlie the basic appeal of the West: evocative frontier, a boundary zone between civilisation and wilderness and between order and lawlessness. It draws on a range of films and literature as well as varying places from festivals to national parks to showcase different aspects of the nexus between travel, film and frontiers in this fascinating region. Interdisciplinary in character, it includes perspectives from cultural studies, American studies, tourism and film studies. Written by leading academics, this title will be valuable reading for students, researchers and academics in the fields of cultural studies, tourism, film studies and media studies and all those interested in film tourism.